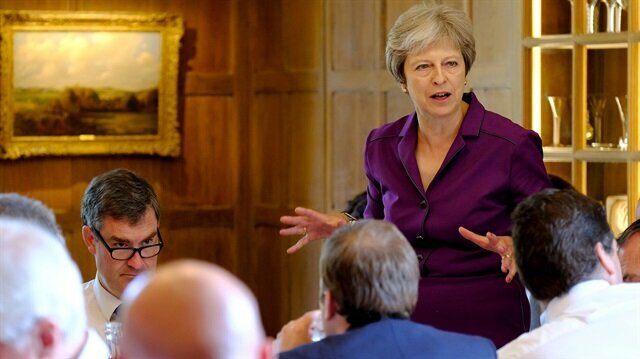 Britain's Prime Minister Theresa May said on Monday the European Union needed to engage constructively with her new Brexit proposal or risk seeing the UK crash out of the bloc without a deal. Speaking shortly after two of May's most senior cabinet ministers resigned over her Brexit plan, May said the models on offer from Brussels were unacceptable. "What we are proposing is challenging for the EU, it requires them to think again, to look beyond the positions they have taken so far and agree a new and fair balance of rights and obligations," she told parliament. May paid tribute to Boris Johnson and David Davis after they left their roles as foreign and Brexit minister respectively in protest at her Brexit plan, sparking a crisis in her government.